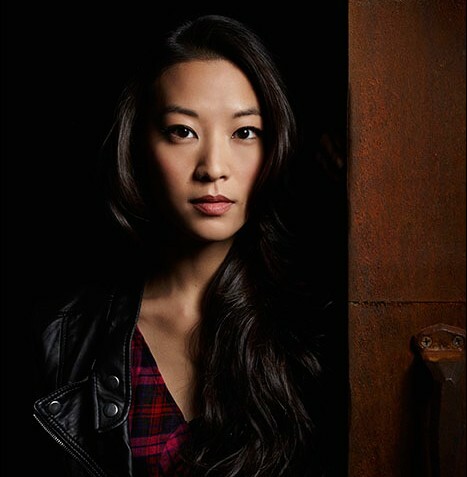 The MTV drama Teen Wolf is unveiling a new character, Kira Yukimura, to the show when it returns in January, and the role will be played by Korean American actress Arden Cho. The multi-talented 28-year old actress-model-singer-songwriter is a familiar face in the commercial world. “I’ve done the Clinique campaign in Asia and had no idea it’d be so big,” said Cho. She also appeared in an iPhone commercial for Korea, which she believes was during the first time the iPhone was released in the country, and also modeled for Nike in Japan and Reebok in Korea. In the United States, Cho has appeared in commercials for McDonald’s. She has also acted in the ABC-TV series Pretty Little Liars and Rizzoli and Isles. She also has a debut EP titled, “My True Happy,” which is available on iTunes. Cho also won the title of 2004 Miss Korea-Chicago. Cho says she is excited to be playing the new student character of Kira and to see how the story develops. She also credited her co-stars for welcoming her aboard and making it easy for her to blend in. Teen Wolf Season 3 will air every Monday night at 10 p.m., starting January 6th of next year. The high school werewolf thriller just won TV Guide’s annual Fan Favorites poll.